Pierre et les Optimistes: Live Music in Nijmegen! 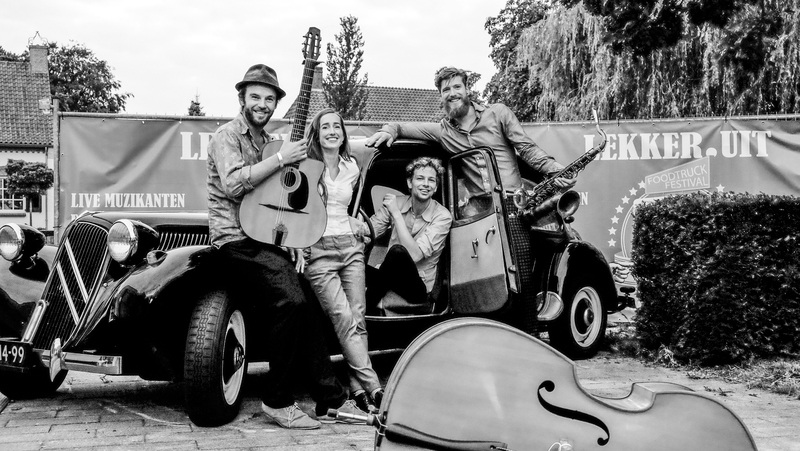 As part of our Lindy Hop workshop on Saturday 26th November, we are truly excited to welcome our next live band Pierre et les Optimistes to Nijmegen. Those of you who were at SwingDom in Utrecht recently will already know all about their awesomeness; Pierre and his gang really know how to swing a party! The party will be hosted by one of our favourite venues, the Thiemeloods in Bottendaal, Nijmegen. We will start with a Lindy Hop taster class from 19.30 until 20.15. From 20.30 onwards you can dance courtesy of this amazing band and our own DJs all the way until midnight. Entrance is free ; please be on time if you want to take part in the taster class!.